Those gaming audio gurus that have brought gamers a plethora of headphones both wired and wireless over the years have provided MashButtons with their latest wireless cans, the X32, to review and let you all know what we thought. I will get the cold hard data out of the way before we get into the comfort, performance, and all the other good stuff that you look forward to in my reviews. 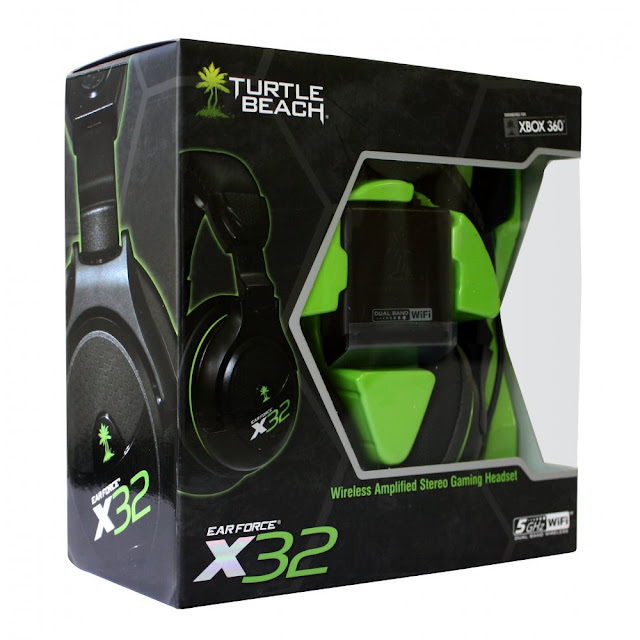 The X32 is the successor to what has been described as the most popular wireless integrated gaming headset, the X31, fully equipped with 2.4/5Ghz Dual Band WiFi radio technology, Chat-Boost, EQ presets, stereo expander, 50mm drivers, microphone monitor, and last but not least an auxiliary input. 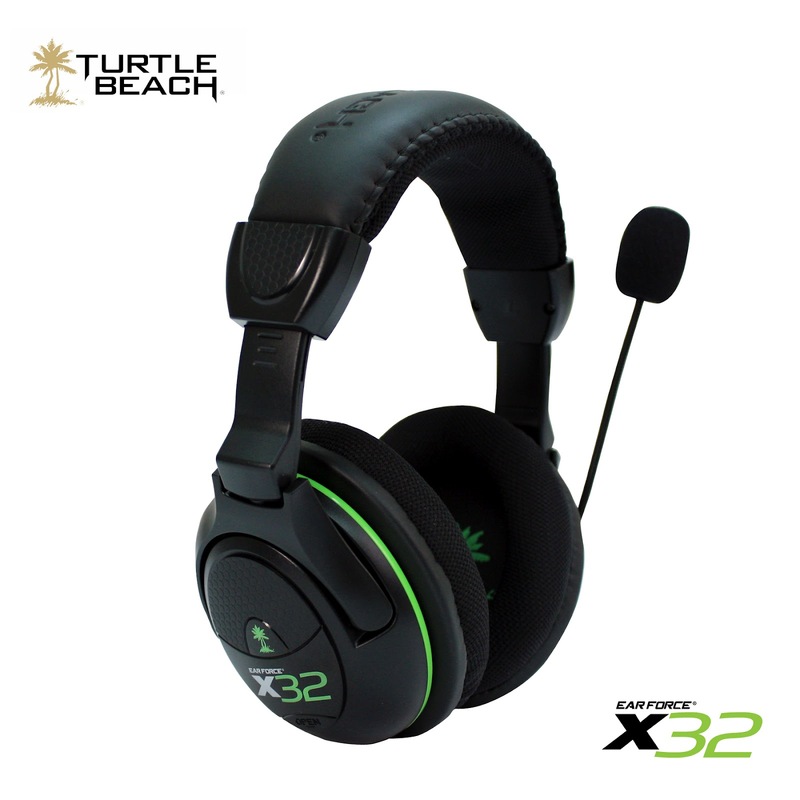 Turtle Beach has been around for a while now and I still use my X11’s at least 4 times a week, so when these showed up in the mail I was quick to plug these bad boys in and not mess with annoying wires. My TV sits about fifteen feet from where I comfortably play and review my games, so having to find headphone with a long enough cable is a daunting task as the majority of the lines out there have proprietary cables making it either impossible for expensive to get an extension to reach, and this is before even getting into the cleanup which is more annoying. Wireless is convenient, and that is the best way to describe these headphones. Some other great ways to describe them are to say that they are loud, comfortable, and give an upper hand in games without anyone complaining about the noise. The upper hand in which I feel that the X32’s provides are the Sound Field Expander presets, which the easiest way in which I can describe it as amplifying the sounds coming in from the left and right sides to help locate your enemy before he locates you. I don’t know about some of you but I like to have a variety of games to play at any given time and most games have different soundtracks and effects, and the X32 multiple EQ preset provide variations of bass and treble boosts to help complement whatever I happen to play. Possibly most important is how well they work by transmitting sound without interruption, over the numerous hours spent with this headset being put to the test, I can only recall sounds being lost twice, but I was also using them beyond the suggested distance from the transmitter. There were a couple things in which I noticed that I would have liked to be different out of the box. Primarily the ability to recharge the headset over having to replace batteries, mostly because I have to replace batteries in my Rock Band instruments, controllers, fight stick, etc. Another thing that would have made my experience more enjoyable would be some sort of insulation or vents to keep your ears cool as my ears were hot and on the brink of sweaty just after a couple online rounds of Modern Warfare 3. 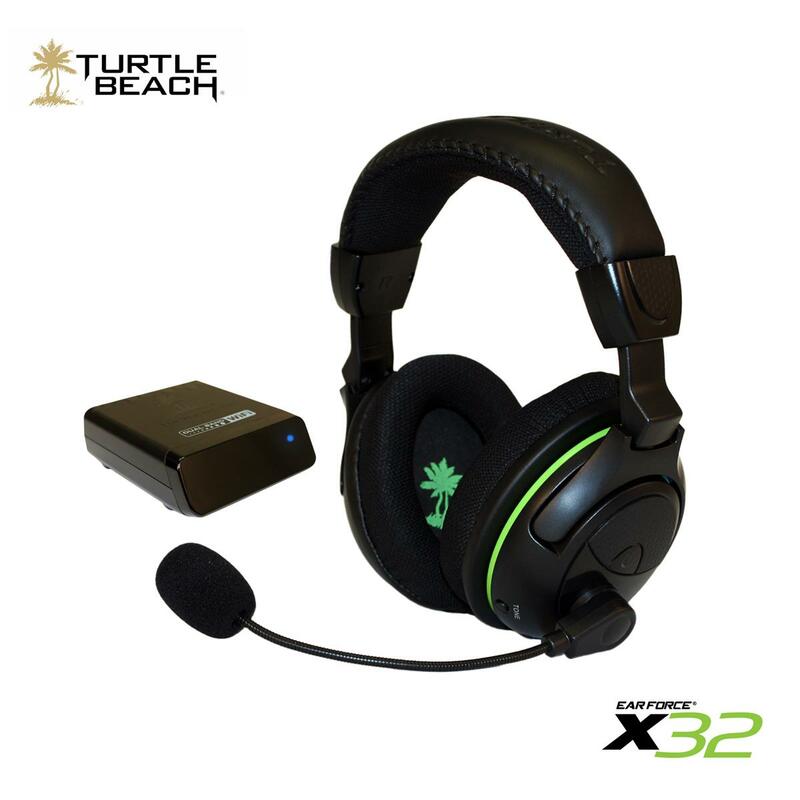 These are also not completely wireless, as you will have to connect the headset to your controller if you plan on interacting with people, but if you are playing a single player game that you want to blast without disturbing others, they are wireless and work as intended. Lastly, this can be chalked up to user error but I am confident I had followed the instructions on pairing the transmitter and the headphones, but I did come across a bit of difficulty when trying to pair the two. A very responsive tech team did get in touch with me shortly after being informed of my inconvenience and provided a number of solutions to try and ultimately disconnecting, reconnecting, and re-pairing got these cans working. There is really only two reasons in which someone would use a headset, the first would be for a person that has a wife a child that go to bed early and can't sleep with the living room war zone rattling the walls, while the other would be the single person, living with roommates or neighbors that complain at the slightest amount of bass heard through the walls, I can safely assume most of us are either one of these. The X32's are a great way to experience the games you love, the way they were meant to be enjoyed, all while those around you are able to get an uninterrupted night's sleep. They do come with a price tag of $99.99, which seems a touch on the high side, without including a charger and rechargeable batteries out of the box, but being "mostly wireless" is a very nice thing, as those that have had wired headphones know the cord can be quite a pain.